We deliver Professional Carpet Cleaning in Colorado Springs and surrounding areas, including Monument, Palmer Lake, Woodmoor, Black Forest, Peyton, and Woodland Park. Are you a resident of Fort Carson Homes? Well, thanks for your service!-- and give us a buzz because we are a certified carpet cleaner for Fort Carson Homes! We deliver the Gold Standard in Colorado Springs carpet cleaning and much more--including air ducts!. We are locally owned and family operated, with more than 30+ years of experience in the floor care industry. 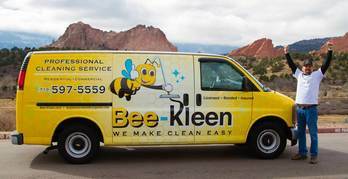 Bee-Kleen-- Colorado Springs carpet cleaners with a big heart-- deeply committed to delighting our residential and commercial customers. ​Using industry-standard truck mounted carpet cleaning equipment, we are IICRC Certified for both carpet cleaning and water restoration. 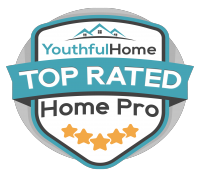 We're also recognized as a "Super Pro" by HouseCall Pro field service management. Your home and office are among your most important investments. What makes Bee-Kleen Professional Carpet Cleaning & More the trusted choice for carpet cleaning, pet stains, air duct cleaning and other services in Colorado Springs? IICRC is the industry's certification and standard setting organization dedicated to inspection, cleaning, and restoration. If you're not 110% satisfied with our service, then neither are we. Simply call us and we will make it right. We are fully insured with $1 million in general liability coverage to protect your home and property. Just ask to see our certificate.